The average price for this game in the past 6 months is $10.18. The game first became 50% off on Nov 1, 2013 at GamersGate. Lowest historic price was $7.12 on May 26, 2017 at WinGameStore. Lowest price we've seen in months on Far Cry 3 Deluxe Edition. Rare 75% discount off the usual $40. Deal valid through tomorrow, March 1st. Far Cry 4 has gotten you hyped up? Grab Far Cry 3 Deluxe for only $8 from the Uplay Shop. Uplay key (kind of a given since its a Ubisoft title). Far Cry 3 Deluxe Edition returns to its all time low this week at GamersGate after a solid 75% off instant discount. Includes the FC3 base game and 4 dlc packs. Just the DLC packs alone cost $10 on Steam. The average price for this game in the past 6 months is $17.56. The game first became 50% off on Nov 19, 2015 at Origin. Lowest historic price was $13.50 on Nov 24, 2018 at Razer Store. Along with The Crew, Amazon also has another Ubisoft title up for grabs at a cheap price. Far Cry 4 Gold Edition (with Season Pass) is only $22.50. Short of the price error from Origin last month (which we're not sure if order went through) - this is the lowest price we'v seen yet. The average price for this game in the past 6 months is $37.37. The game first became 50% off on Nov 18, 2018 at GamersGate. Lowest historic price was $27.32 on Mar 25, 2019 at Green Man Gaming. New low on Gold Edition of Far cry 5 in a 24 hour special at Green Man Gaming for 36% off. Contains the base game, season pass and deluxe pack. Standard and Deluxe Edition are also on sale. The average price for this game in the past 6 months is $9.74. The game first became 50% off on Feb 13, 2015 at Amazon. Lowest historic price was $6.75 on Nov 24, 2018 at Razer Store. Last chance on historic low price on Far Cry 4. If you still haven't tried this title yet - $6.75 is a killer price for an excellent FPS in a great series. Deal ends this afternoon. Gold Edition is also on sale for lowest ever at $13.50 but we would only suggest that if you enjoyed the previous Far Cry installment. Still don't have Far Cry 4 in your library? GMG has the game for only $12.75 during its Summer Sale as a flash deal. 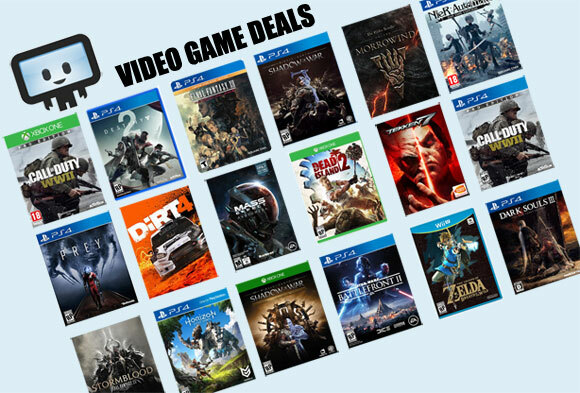 Extra bonus includes a free mystery game plus coupon discount for future purchase. Short of Origin's price mistake late last year, Far Cry 4 returns to the under $20 price point during GMG's Summer Sale Round Three. Uplay key. If you missed Steam Store's deal on Far Cry 4, GamersGate has the game on sale for the same $20. Gold Edition is also available at $32 (though it has been a lot cheaper before during an Amazon price goof). I almost had a hard time believing this deal was real. Far Cry 4 is only eight bucks at the Origin Store. New low by $12. Sells for $50 at most PC digital retailers right now. The average price for this game in the past 6 months is $23.78. The game first became 50% off on Nov 20, 2018 at Green Man Gaming. Lowest historic price was $13.50 on Feb 4, 2019 at Green Man Gaming. Last chance to pick up Far Cry 5 for lowest ever price of only $13.50. This is significantly cheaper than Winter Sale price and is a good pick-up if you enjoy Far Cry franchise (but not that much where you'd pick up their latest title at full price on release). Currently 75% off on Steam Store, GMG's deal saves you an additional 50 cents. Far Cry 5 is now only $21 in GMG's Winter Sale. This same discount extends to the Deluxe and Gold Edition (which includes Season Pass). While price on the Gold is decent, we think you'll get plenty of gaming out of Standard Edition. Uplay key. Review here. You absolutely can't go wrong with Far Cry 5 for only $26 in GMG's Black Friday Sale. Almost every Ubisoft title we've see listed are at its lowest ever price and $26 is a great price for an AAA 2018 title. Tucked between all these Black Friday deals showing up on Sunday is a great price on Far Cry 5 for 50% off. Uplay key. Far Cry 5 is now lowest ever price thanks to GMG's week-long Ubisoft sale. If you don't want to wait for holiday season pricing, this 41% is pretty damn good. Available for Deluxe and Gold as well (with Gold being the only one worth it as it contains the Season Pass). Uplay key. Far Cry 5 hits the $15 mark on the PS4 and Xbox at GameStop. Lowest price ever by $5 with free store pickup. The average price for this game in the past 6 months is $23.42. The game first became 50% off on Aug 26, 2018 at Best Buy. Lowest historic price was $14.99 on Jan 16, 2019 at GameStop. Releasing tomorrow, this is your last chance to pick up a PS4 (or Xbone) copy of Far Cry 5 at Best Buy and still receive the pre-order bonus of $10 rewards certificate. Comes with the pre-order bonus "Doomsday Prepper Pack" as well. By all review accounts, this is a good 5th installment to the main series. The average price for this game in the past 6 months is $14.40. The game first became 50% off on Feb 13, 2015 at Amazon. Lowest historic price was $10 on Jan 15, 2019 at Microsoft. Pre-owned copy of Far Cry 4 on Xbox One is down to only $13 at GameFly. In new condition right now expect to pay between $23 and $30. Far Cry 4 down to $40 for all console platforms (Xbox One, PS4, Xbox 360, PS4) at GameStop. Your choice of free store pickup or free shipping with coupon code SAVER at checkout. Last chance to pre-order Far Cry 4 from Microsoft Store for the Xbox One and get guaranteed release day delivery, plus 15,000 in Xbox points (basically $15 worth).